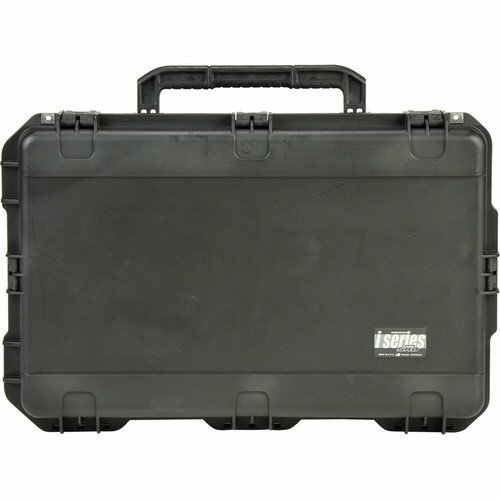 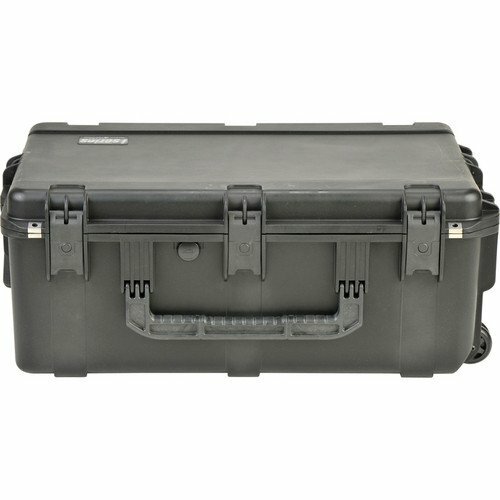 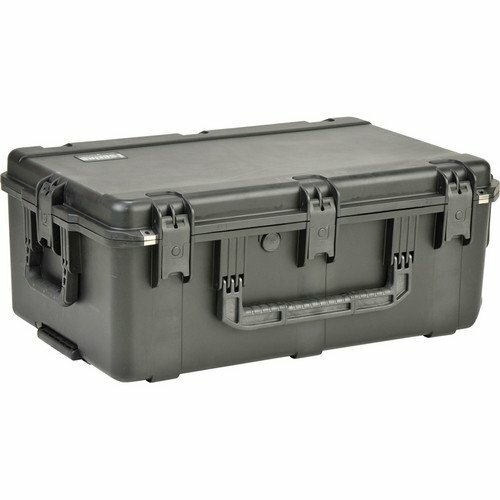 Store, transport, and protect two cameras, up to ten lenses, and related accessories in the watertight, dustproof, and molded SKB iSeries 2918-10BE Waterproof case. 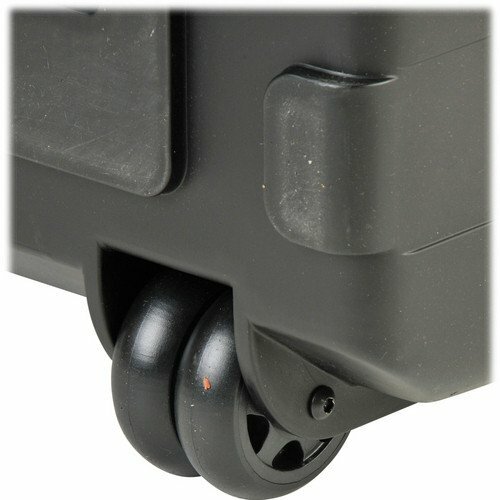 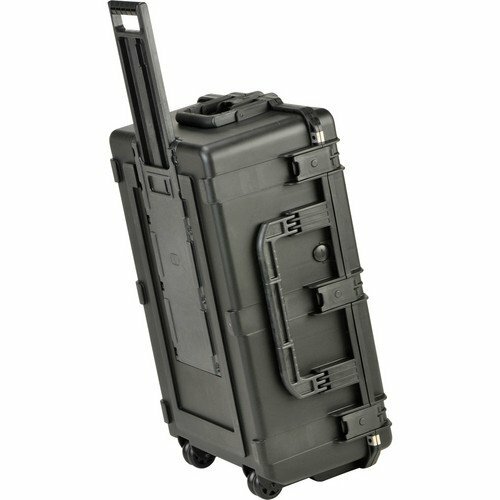 The black case features five trigger latches, two metal-reinforced locking loops for optional padlocks, an automatic ambient pressure-equalization valve, an over-sized top handle, side handles, and a trolley handle with wheels. 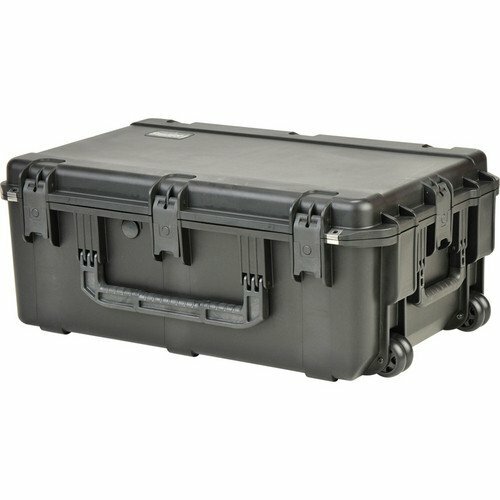 32.5 x 20.8 x 13.3"